Rent out your apartment, room, or home from one night to one year. Rent out your ready to book vacation rental, apartment, home or spare room on Housli. Frequently asked questions by our hosts. What Are Housli's Fees To Hosts? 6-9% of total booking, plus a 3% transaction fee. What Are Housli's Fees To Guests? There are no fees for guests. What Are The Payout Methods? When Do I Receive Payout? 24 hours after your guest(s) checks-in. Are There Requirements To List? Your space must be at least partially furnished and with no offline booking requirements (no offline applications, leases, fees, etc). How Do Long-Term Stays Work? For stays over 1 month, first month payment is collected upfront, and paid out to host 24 hours after check-in. Host will have to collect payment directly from their renter after the first month. Yes, you can import/export calendars with other platforms. Security deposit is collected after check out if there are damages. Choose which types of guests are suitable for your accommodation. 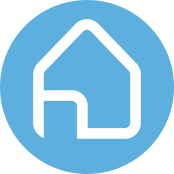 Expand visibility for your property by listing on the Housli platform! Be seen by potential renters all over the world!